In Madeira Island you can try a wide variety of desserts and traditional sweets. Due to the cultivation of sugarcane, and consequent trade between Europe, Africa and Asia in the fifteenth century, as well as the exploration of cultivated fields with new products, regional sweets became more diversified and, to a certain point, exotic. Sugar, which in the region was of enormous abundance and of very good quality, was recorded in writings of the fifteenth century as “White Gold” and was a source of wealth for the island between the fifteenth and sixteenth centuries. Due to its climate, a variety of tropical fruits is produced, and unique sweets are made with them. 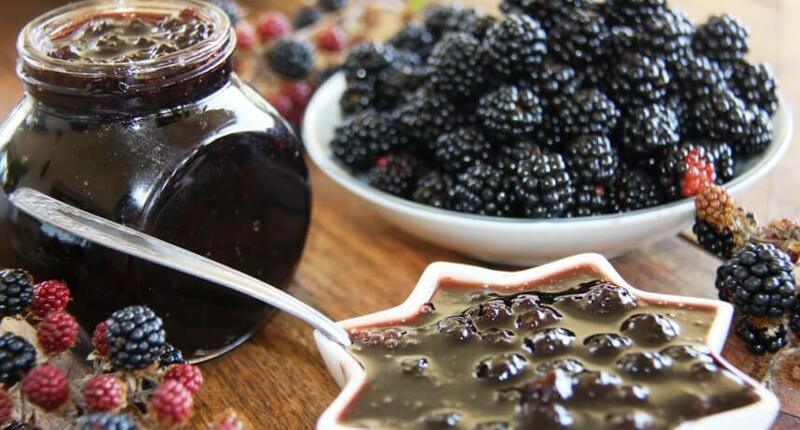 These fruits are often harnessed to make delicious puddings, cakes, liqueurs and ice creams. In the regional confectionery stands the Honey Cake, Queijada, the Honey Buns and the Passion Fruit Pudding, but there is a lot more to taste. The Queijada of Madeira is very traditional on the Island in the county of Santa Cruz, but you will find it in every localities around the island. 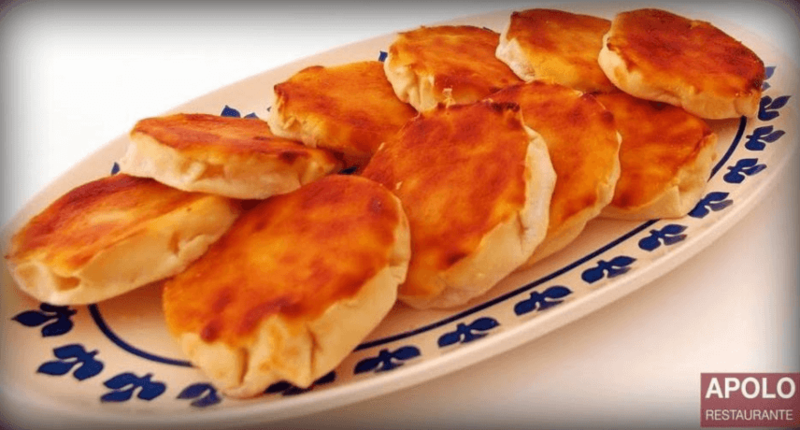 It is made with creamy cheese, eggs and sugar. They are small cakes flattened and rounded form with a very pleasant and characteristic flavor. 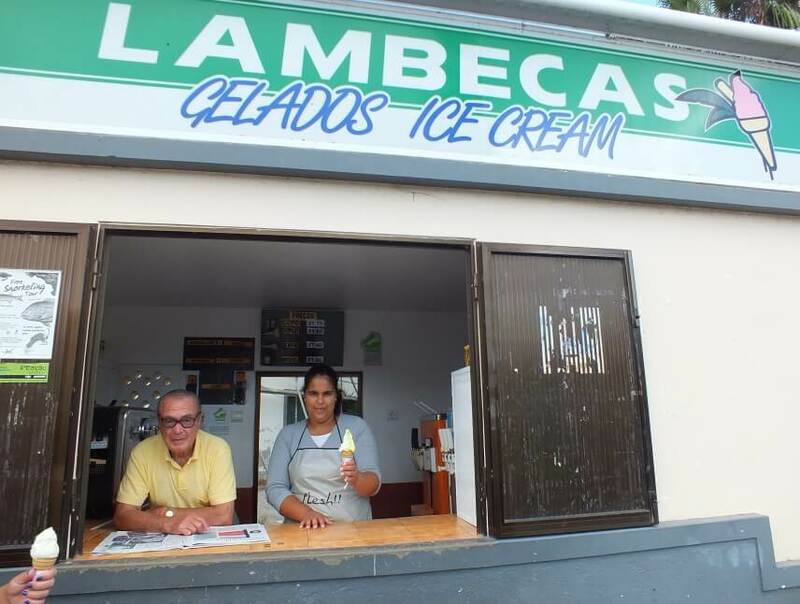 The Lambecas are the most famous ice creams on Porto Santo Island. They are well known for having a different taste from all other ice creams. In total there are 16 flavors of Lambecas, and are sold in a wafer cone. 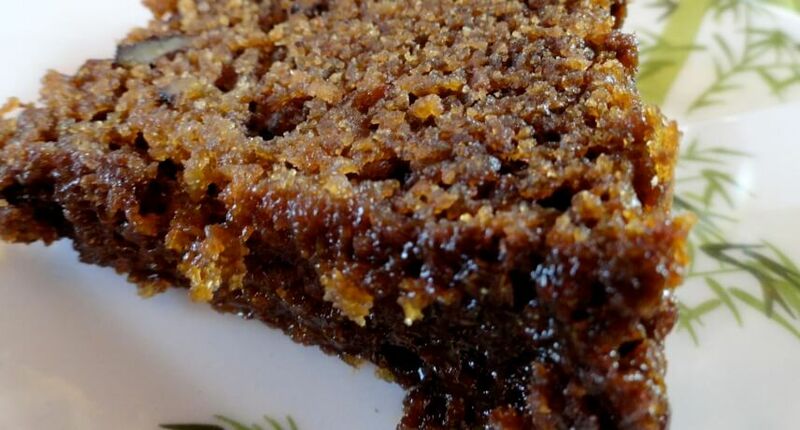 Madeira traditional Honey Cake “Bolo de Mel” is made with sugar cane honey and can be preserved for a long time. 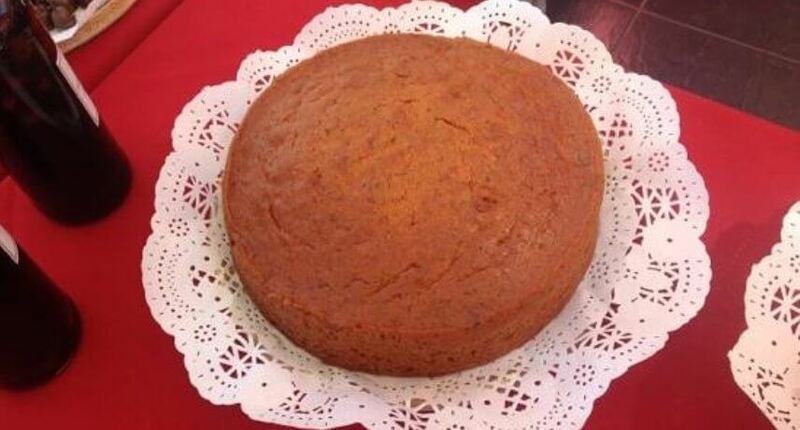 This cake is very traditional in Madeira Island, and traditionally connected to the Christmas season. 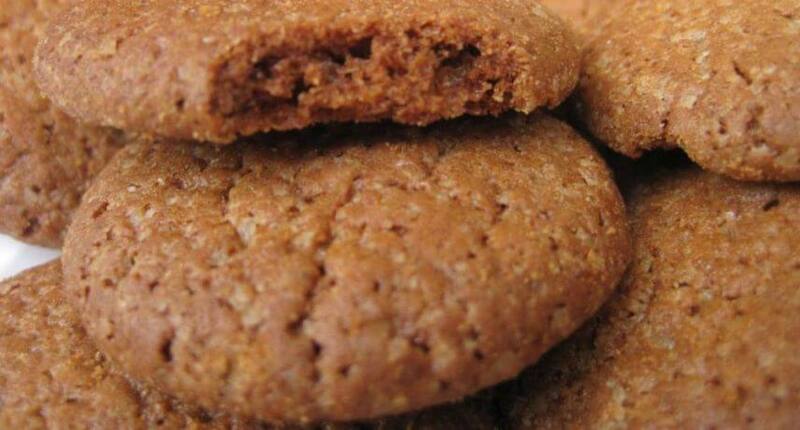 The “Broas de Mel” are delicious traditional biscuits made all year round, but in particular at Christmas celebrations. Its main ingredient is sugarcane honey, combining the lemon, lard and butter that gives them a unique aroma. In the Madeira Island Carnival season, “sonhos and malassadas” are traditionally eaten with sugar cane honey or with sugar. In Madeira, there can be no carnival without “sonhos and malassadas”! 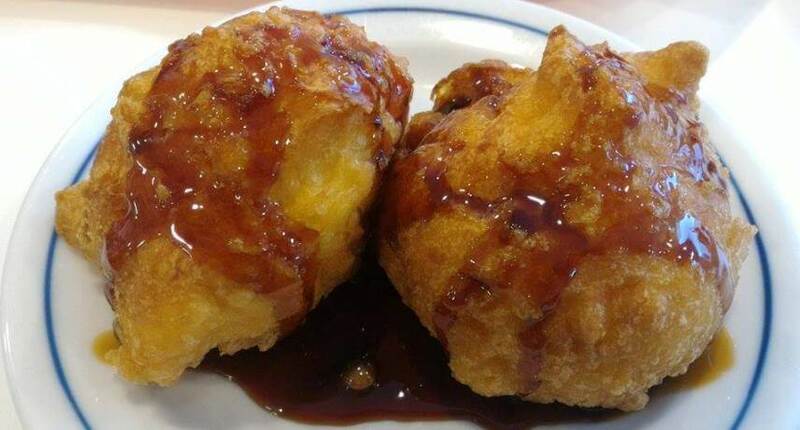 They are made from eggs and flour, these are fried and for the final touch are watered with the honey of cane, which will give them an optimal taste. These “Rebuçados de Funcho” candies are abundant in Madeira Island. They are of cylindrical shape of variable size, with a yellowish color of fennel flavor. These can be used to calm the cough or eaten at any time of day. The name “Funcho” comes from the predominance of the fennel plant on the slopes of the Bay of Funchal. The Traditional “Bonecas de Massa” of Madeira Island had originated in the county of Santa Cruz. They are made with flour, water, yeast, dye and a little of salt. Seeds are used to make the eyes and colored ribbons to make the hair and like clothes. These are sold especially in the stingrays. Typical on the Madeira Island in family gatherings. 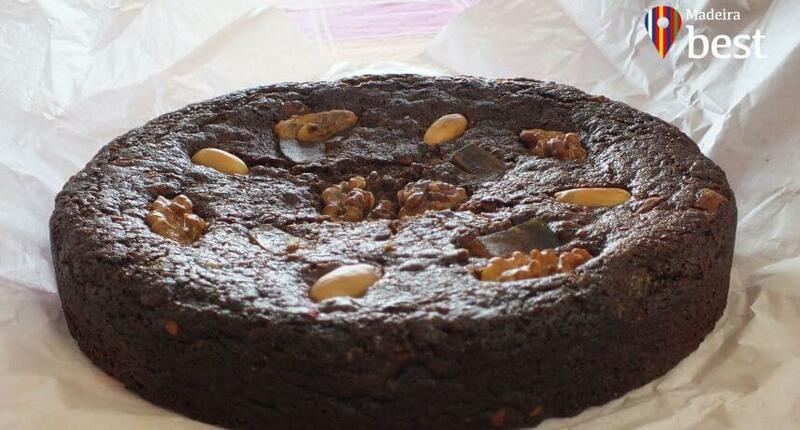 The “Bolo de Familia” (Family or Black Cake) is rich in typical ingredients of the archipelago, such as Madeira wine and molasses. It also takes nutmeg, cinnamon, crystallized fruits, milk and lard. The “Bolo de Noiva” is a traditional Santana cake that is offered to guests by the grooms. It is a kind of bread which takes anise and it is cooked in the wood-fired oven on cabbage leaves, which gives it a unique and delicious taste. The Apple Pie, a wonderful tart that we can eat at any time of the year. Indulge yourself with the magnificent Madeira’s apple pies! 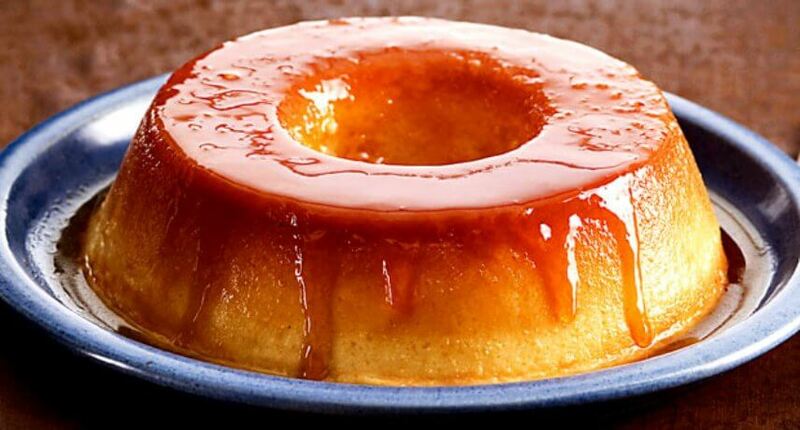 The “Pudim de Ovos” Egg Pudding is made of sugar, milk, eggs and a citrus fruit, what makes it delicious. It is especially served on festive occasions. Being the passion fruit one of the best known fruits of Madeira, we suggest a delicious fresh and sweet dessert, ideal for the coming summer. 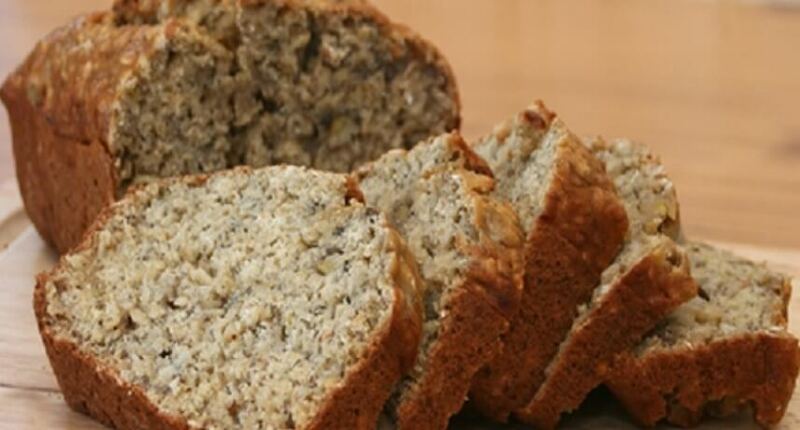 The Banana Cake is a light and fluffy cake with a soft touch of Madeira Banana. Delicious and nutritious, no wonder it’s the favourite cake in the world’s best.. Cristiano Ronaldo! Who likes the delicious chestnut cakes from Curral das Freiras (Nun’s Valey), the land of chestnuts? Can be served plain or covered with chocolate cream, or even stuffed and garnished with whipped cream. For those who like “anonas” (custard apple) this sweet is a treat! 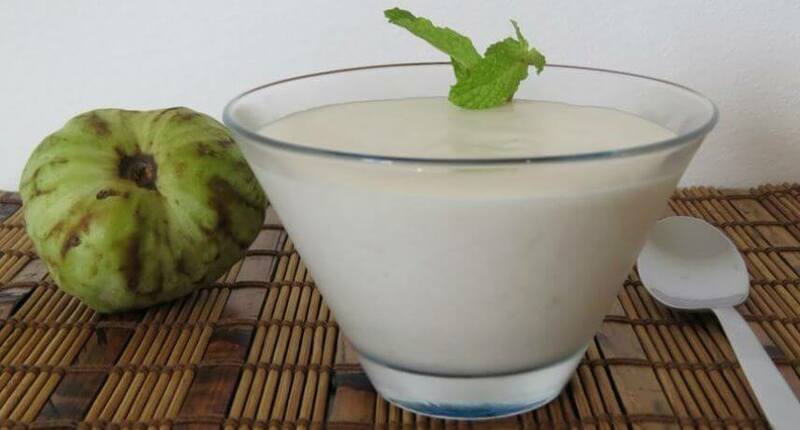 It is also a great way to enjoy the custard apple that are very mature. 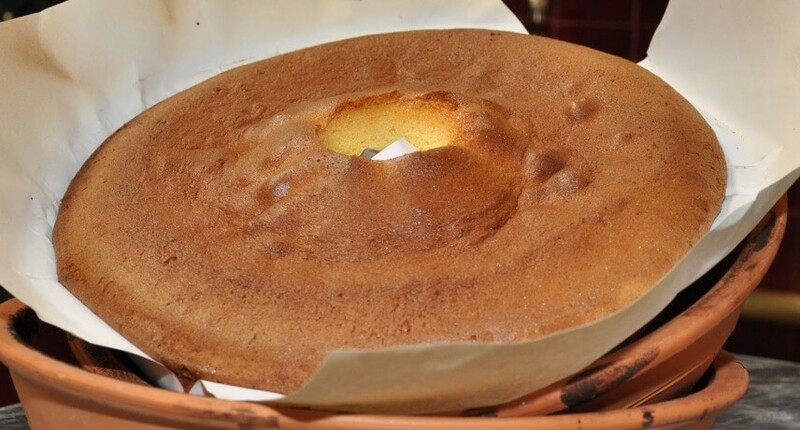 The Porto Santo’s Traditional Sponge Cake “Pão de Ló” is a very soft dry cake. This is made with sugar cane brandy, which leaves it with a unique taste and different from all the others. The locality of Jardim da Serra is privileged to produce a unique fruit in Madeira Island, “The Cherry”. 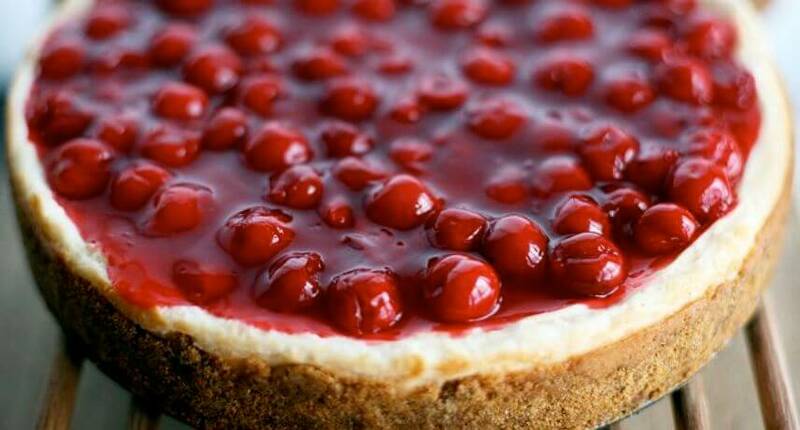 The Cherry Cheesecake it is a fresh dessert, as befits this hot weather. The pitanga is a very small fruit, the size of a berry. In Portugal, just on Madeira Island we can find the “Pitangas” (Suriname or Cayenne cherry), and can be consumed in natural or in the form of juices, beats, jellies and other home made desserts. 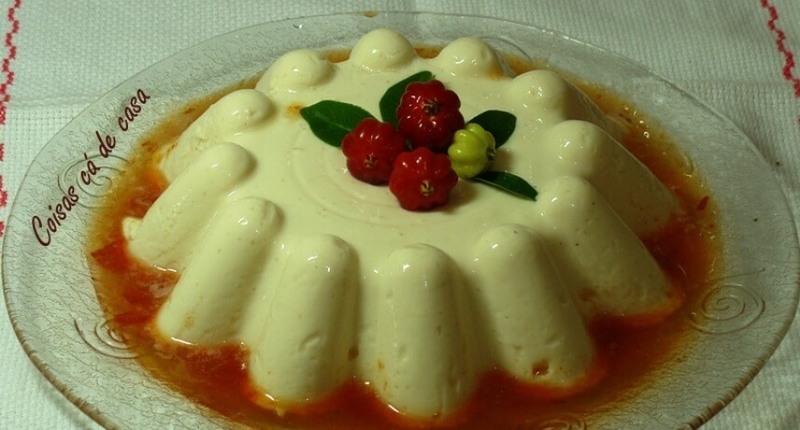 The “Pitanga” pudding is a great suggestion for a fresh and delicious dessert in the summer. 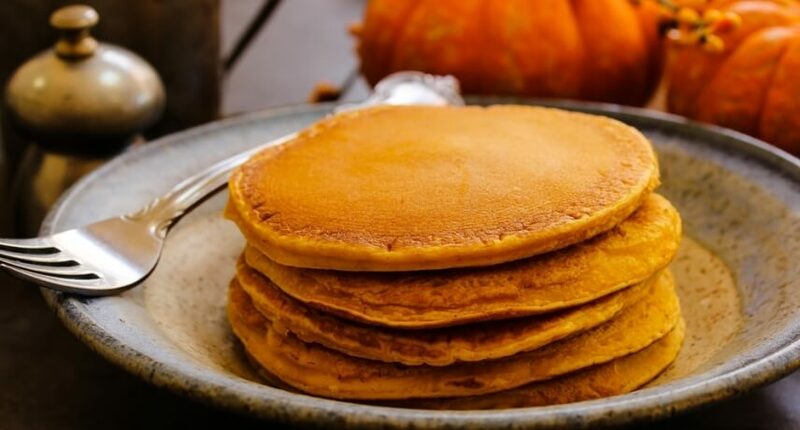 The pumpkin pancakes come from Madeira Island. They are very simple and quick to prepare and great for eating at breakfast or snack time. For the cool days in the island, they are great accompanied with a cup of tea! Easter in Madeira is rich and delicious in sweets, much appreciated by locals, especially children. 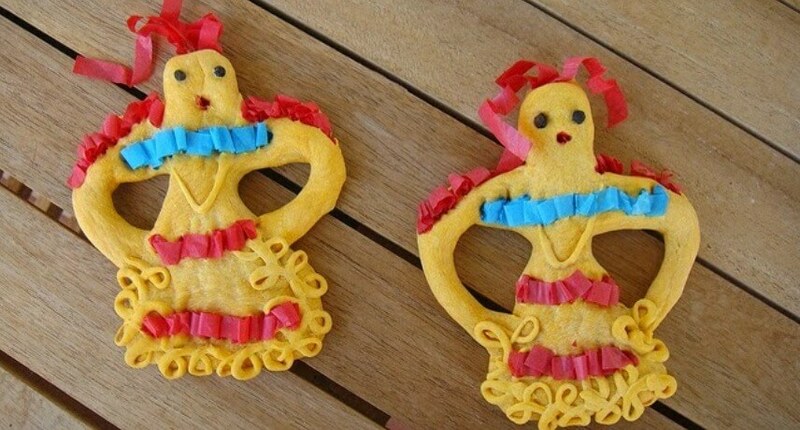 The traditional “Torrões de Açucar” clods of sugar, are one of the main images of Madeiran sweets on the Easter season. Very simple and quick to make, the clods can present different shades and tastes, simply varying the fruit. 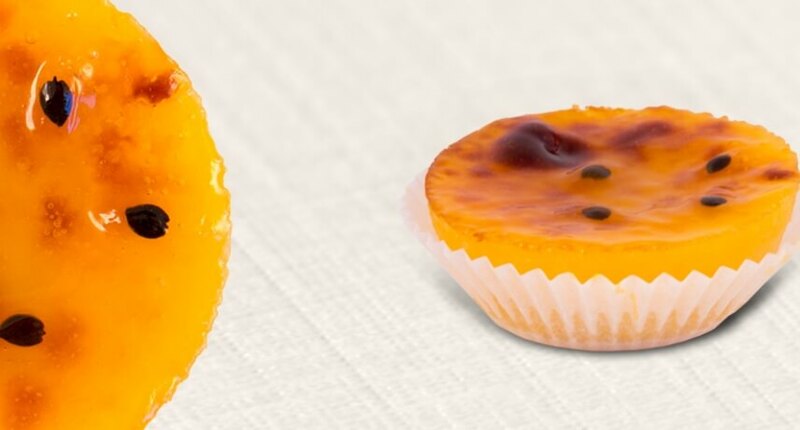 The “Pastel de Maracujá“, is a sweet that results from the reinvention of the recipe of the typically Portuguese cream cake “Pastel de Nata”. 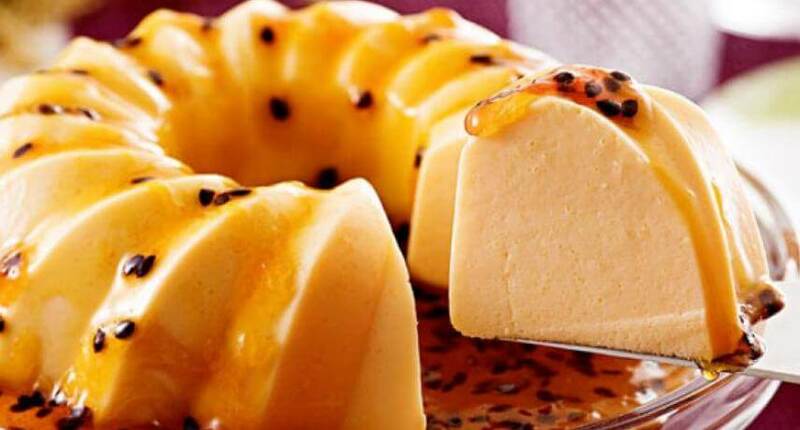 The innovation is inside the cream, stuffed passion fruit. A real mouthwatering delight!